In the context of the mission of the seventy it is easy to understand Jesus’ caution to not focus on success. But life doesn’t always go so well. Some people listen, some reject (v. 16). Isn’t it possible that Jesus could have added, “Don’t get discouraged when there are setbacks; no matter what happens, keep rejoicing that your names are written in heaven.”? You see, the world into which Jesus sent us has its receptive men of peace (v. 6) but it also has wolves (v. 3), unwelcoming inhabitants (v.10), serpents, and scorpions. I thrive when I meet people of peace and beat the beasts; but I get downhearted when there are too few successes. My mood swings like the needle of a barometer responding to the weather. I especially resent the truth that I have little influence over the decisions of humans. My lack of control suggests that I am weak and failing. I want to do something to change that impotence. My needle swings away from joy. Jesus doesn’t want us to live like that. Our real identity (the idea behind “names”) is meant to be in heaven, the dwelling of God—anchored to our intimacy with the Father. Jesus showed few signs of discouragement when people turned from Him or against Him. He also showed little reaction to His many triumphs. Stability came from His relationship with the Father. We become different people when our lives stop being swayed by how well things around us are going and center on that relationship. Jesus said that our real identity is more important than the authority He has given us (and presumably more important than our failure to understand or use that authority). In fact, doesn’t something happen as we switch focus and develop our inner life with the Father? Don’t we become more effective, more fruitful? Instead of dissecting every play we make in life, or worrying about accomplishing our next goal, we relax in our identity as God’s children. As we do that, He increases our confidence and fills us with more of His nature. We spend more time in heaven and less sweat on earth’s battlefield. That’s when we see what Jesus saw—Satan falling from the heaven that we were always meant to occupy. We displace him! That’s when we become a container of the kingdom of God so that we can truly say, as we go about our lives: “The kingdom of God has come near to you.” The more that we are in the kingdom, the more it is in us, and the more it expands to reclaim our world of wolves, serpents, and scorpions. John, Your post are so insightful. I love reading them. This one was so timely for me right now. It’s so easy to get discouraged when there are setbacks. Your book, The Name Quest, was my only purchase at the OCW conference. Wow! What a profound study. 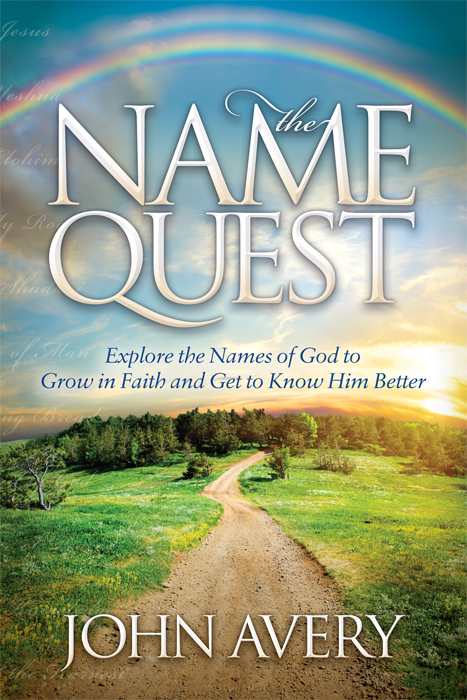 With my busy schedule of launching my first book (not nearly so profound, I might add), I am only half way through Name Quest, but it is overwhelming me again and again with the awesomeness of our amazing God. Thanks for all your incredible work. I trust you will be at the October OCW meeting. If so, I would love to meet you. Writing my first book and would love to use you as one of the “influencers” the publishers are wanting me to list so they can send you a copy of the book asking for reviews. (Launch date December 3.) I would need your address for them to send you a copy. If I had your email, I could send you a digital copy sooner if you would be willing to read the manuscript. I know that would be a huge request and I would totally understand if there is no way you could read or review it. Thanks for your comments Carol. Sorry I take a while to get to these sometimes. I will be at the OCW day conference in two weeks. Please find me there and I will give you my contact information. I would like to hear more about your book.